I’m beginning to think that I’m not cut out for this Exam Invigilator role that I’ve been doing part time just recently. Fondish memories of it when I was talking exams was of someone sat at a desk, potentially on a small stage overlooking all of the young people nervously perched on chairs before them. The Invigilators sat there perhaps leafing through a magazine and drinking coffee for the regulation time span of the exam and then the pupils filed up respectfully handing in their papers before walking out of the examination hall in hushed tones. Fast forward to this year and I find myself turning up for my first Invigilation event and to my surprise I learn that we are not allowed to sit down. There is no chair and desk for our exclusive use. And there definitely is no magazine or coffee. There is however a sports hall with 192 desks set out in it, ready for GCSE and A Level students to come and do their best. There is also an expectation that the Invigilators- and there were 7 of us on this occasion as we work on a 30 students to 1 Invigilator ratio – walk around the room and observe for the entirety of the exam time allocation. My first one was 2.5 hours long. That’s a lot of walking, checking, noticing and watching the clock. Invigilators are supposed to ‘patrol unobtrusively’. Easier said than done. However, I had taken note during my Invigilator training that we were meant to think about the noise that our shoes make and to ‘select a quiet pair’. Quiet plus comfortable is key. As the students poured in, I tried to put myself in their (quiet and comfortable?) shoes and remember my exams; tired from revising and anxious about doing well, we all traipsed in and dreaded turning over the exam paper for fear that we wouldn’t recognise the content of the questions and therefore be doomed for the rest of our lives. It felt that important. Of course, ‘In my day………’ as all good reflective conversations start ‘We weren’t allowed calculators and that sort of thing’. Oh no. We did it the hard way, in our heads or scribbled on a spare piece of paper. Nowadays of course, calculators are permitted for some exams as are other resources. Setting up the exam room is specific and rule bound and an exam inspection takes place at least once during the exam season to check that the regulations are being followed. As the exams have got into full swing, I’m saddened, amazed and downright angry at the ‘Sleeperz’ as I’ll call them. Students in receipt of a free education who come into the room with absolutely no intention of participating in the exam. They push the paper to the side of the desk, put their head down and sleep for the allocated time. They actually sleep! Tammy Tamoxifen is wide awake at this point and high on hormones that don’t process this situation with 100% empathy. I know that our education system is not perfect, it’s not fit for purpose in lots of ways, but much of it is good and helpful, inspiring and a springboard. In particular it doesn’t connect with male brains very well and its mostly male students who struggle at exam time and so it stands to reason that most of the Sleeperz were young men. Observing them as I patrolled unobtrusively was fascinating. Much swagger and arrogance at the start of the time period, shifting to quiet fury and then for some, a dawning awareness of the significance perhaps of years of lost education and what that might mean for their future. I wondered what would help, what in different circumstances other than Invigilation, would be the right approach to engage these young men in learning that felt as if it had some relevance to them, that it was worthwhile and absorbing? I know that teaching is a hard profession. You can’t connect with everyone all the time, but we’ve been worried about boys and young men for years and clearly it remains a grey area where we are failing them still. Whomever the new Education Secretary will be, please take note! But are we? Are we failing them or are they failing themselves? The other thought that constantly goes through my mind when I’m Invigilating and see the Sleeperz is ‘How dare you waste what’s been given to you?’ Through being a Trustee with Project Gambia I’ve been lucky enough to visit the country many times and each time we meet children and young people who are desperate for the opportunity of education. Sleeping during an exam would simply not be an option. And perhaps naturally for me now, I look at these young people and wonder what events might happen in their future lives that they are unprepared for, that as they sit or sleep there and imagine that their lives will be long, healthy, fortunate and without trauma, will life events still for some of them stop them short in their tracks? Maybe that future that they have or have not planned for will be diverted by something like cancer, which takes away your control, your plan and places its own agenda centrally in your life, during active treatment and beyond. Reflecting on my time as an Invigilator, perhaps a 2.5 hour walk in silence in quiet shoes is actually giving me useful thinking and excercise time. 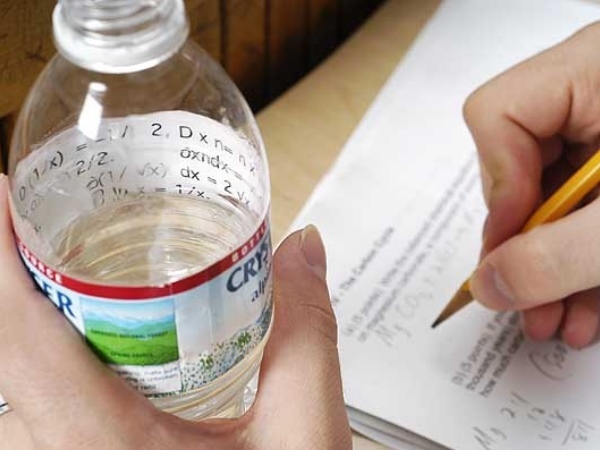 Once I get past the irritation of the Sleeperz and I’ve asked the tenth student to remove the label from their water bottle, just in case they’ve written handy exam hints on the inside of it. In my day you weren’t allowed water. How times have changed. 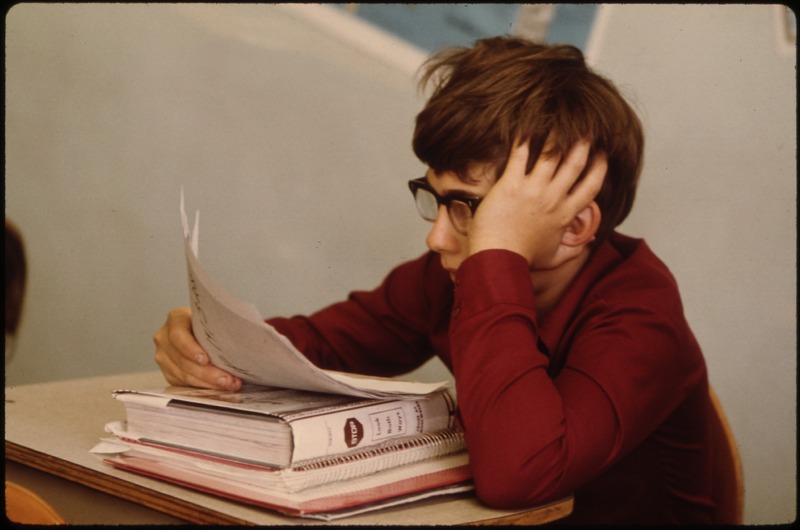 Perhaps my dehydration affected my French exam results………..
Posted in #TeamPositive News. Tagged #TeamPositive, exams, Hormone Therapy, Tamoxifen, The Gambia.